Duchess Bubblegum Sparkles. Penelope Hamilton. Leo Longfire. These sound like characters from a kid’s TV show, but they’re actually shoes. 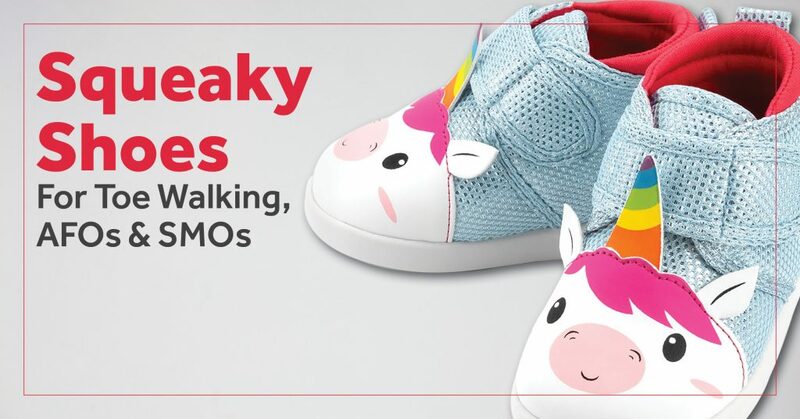 And these shoes just might squeak their way into your child’s heart. ikiki started with a scenario we’re all familiar with: shoe hunting. 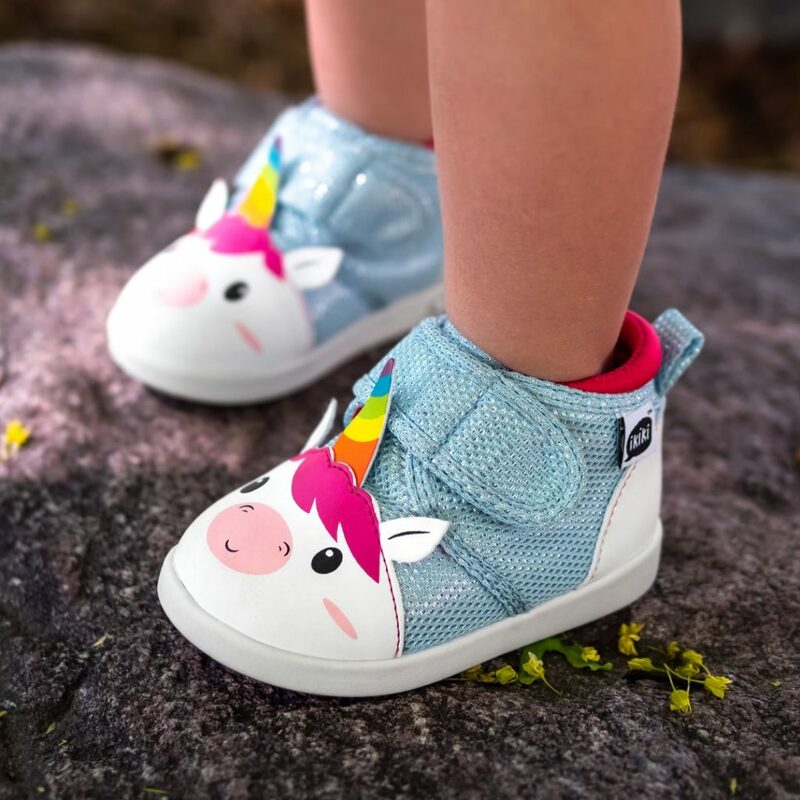 The company’s CEO wanted to find an option for his kids that were both easy to put on and not just adult shoes shrunk down for tiny feet. When he couldn’t find the perfect shoe, he didn’t settle. Instead, he created his own. Today, you can find over a dozen varieties of ikiki shoes, all featuring fun, colorful characters. And they aren’t just cute. ikiki shoes feature a built-in squeaker (with an on/off switch) in the heel. The squeaker is also more than just a fun novelty. Your child’s love of making noise can help encourage a heel-toe gait pattern. No heel strike, no squeak. 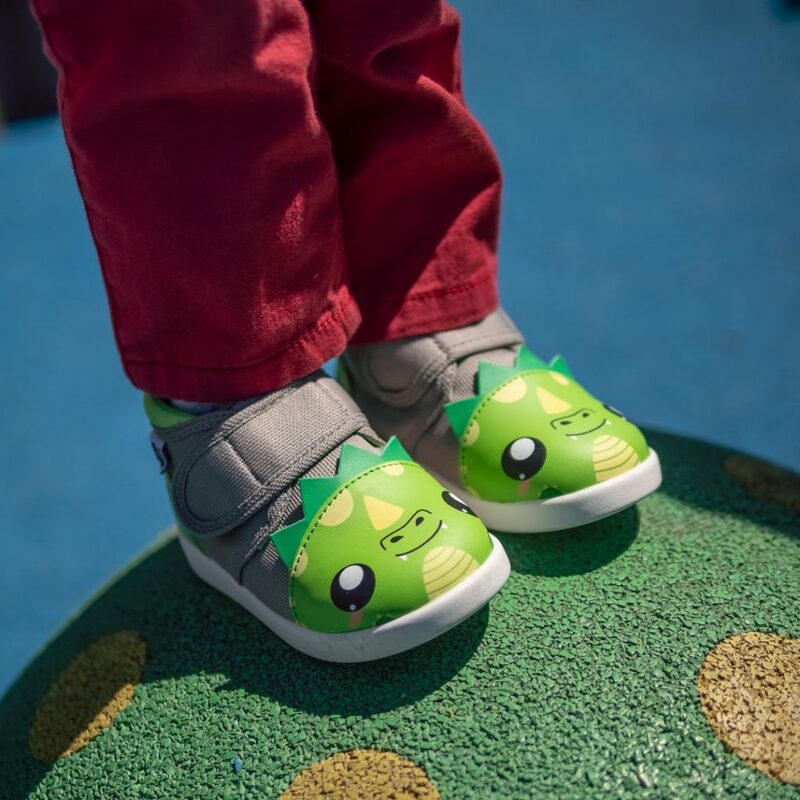 This auditory feedback may encourage your little one to stop toe walking. But remember, no shoe is a replacement for your child’s braces. Do They Fit AFOs and SMOs? ikiki shoes aren’t specifically designed for braces. But many parents have found them to be a great option. They feature roomier toe boxes and the wider opening help feet slide in more easily. They’re also lightweight, which can be beneficial for kids who have hypotonia. Yep. 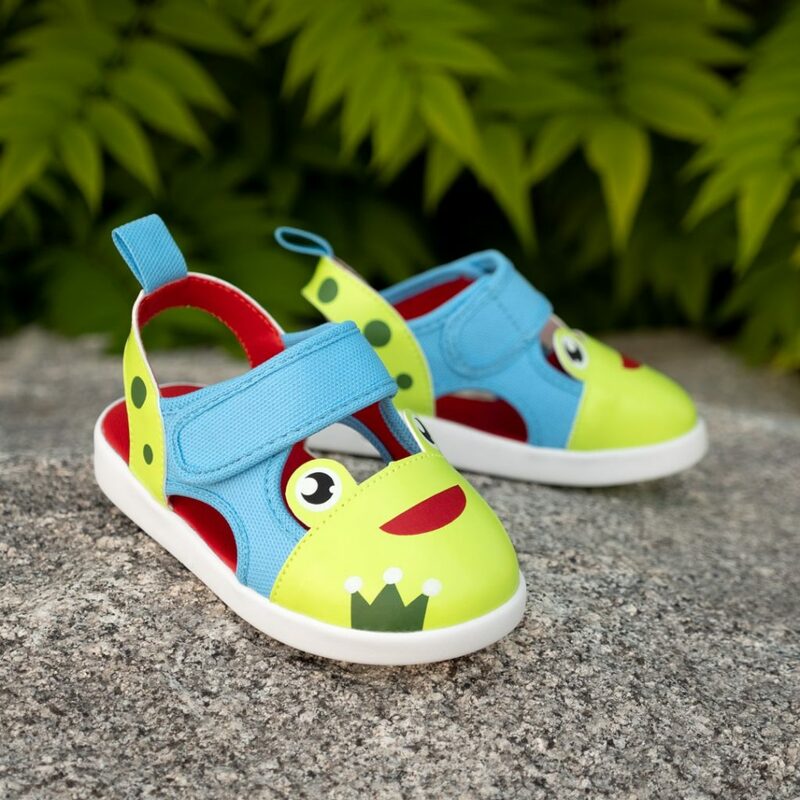 The Prince Kairu Sandal can help your little one beat the heat. Sizes range from 4 to 13 (no half sizes). Can I Order Shoes With Two Different Sizes? Yes. This option isn’t available online, but you can call and request different sizes. As with all shoes, this isn’t an exact science. Everyone’s feet are different. For shoes in general, we only recommend going up half a size for SMOs and 1 – 1.5 sizes for AFOs. This is because if the shoes are too large, they can rob your child of the benefits orthotics provide. After all, no one likes walking around in big clown shoes. Before ordering, you can check the sizing guide. Where Can I Buy ikiki Shoes? They aren’t available in stores, but you can order them directly from the ikiki online store or through Amazon.